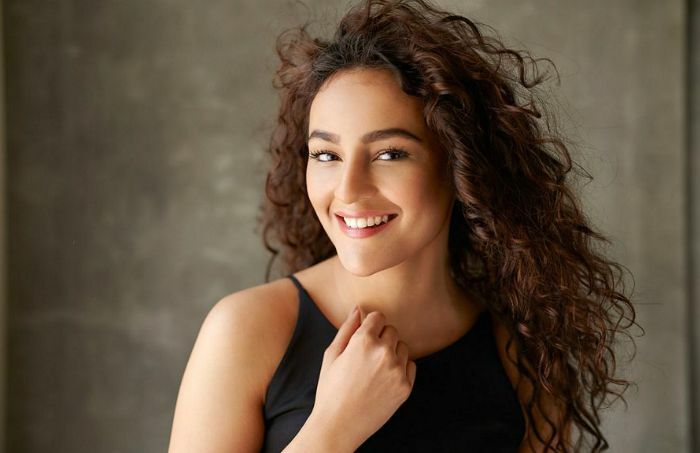 The beautiful, elegant and attractive personality, Seerat Kapoor, came into limelight after working as an assistant choreographer in Ranbir Kapoor’s 2011 film, Rockstar. She gained huge appreciation and fame with the film and eventually took interest in acting. She later took acting courses and debuted in Zid in 2014. In the course of her showbiz career, she briefly worked as a model, after which, she has acted in a bunch of Hindi and Telugu films. Seerat Kapoor was born on the 3rd of April 1993, in Mumbai, Maharashtra, India. She is currently 26 years old. Seerat attended Mumbai’s Podar International School in Santa Cruz and later enrolled at the R. D. National College, Bandra for her pre-university course. After graduation, she joined a Bachelor of Arts degree in Mass communication, however, she dropped out to focus on her acting career. She took an acting course at the Roshan Tanejaa School Of Acting. There isn’t much information about her romantic life, but she was romantically linked up with Abhishek Ghatak in the past. As a choreographer, Seerat Kapoor debuted in the 2011 Hindi musical romantic drama, Rockstar. As an actress, she first starred in the Telugu comedy thriller film, Run Raja Run, alongside Sharwanand. She played Priya in the film which emerged as a huge commercial success, making herself known to the people. The film made Rs 12 crore against a production budget of Rs 4 crore. She hasn’t appeared in television series except for promotional talk shows. Seerat has endorsed several brands and products, including Vivel, Engage Cologne Sprays, Apollo Tyres for Dibakar Banerjee, Mahindra gusto and Intex with Farhan Akhtar. She developed a passion for dancing at her young age and learned dancing from her young age. Seerat Kapoor worked as a dance instructor in Ashley Lobo’s dance academy, The Danceworx in Mumbai. She also worked as an assistant choreographer. Kapoor is a trained Indian Classical singer from Rajesree School of Music. Her professional dance career began at the age of 16. Apart from her Hindi debut, Zid, she works mostly in Telugu films.